Kingdom Products Imprinta Stampable Overlay is part of the Impressionaire Floor & Wall System. 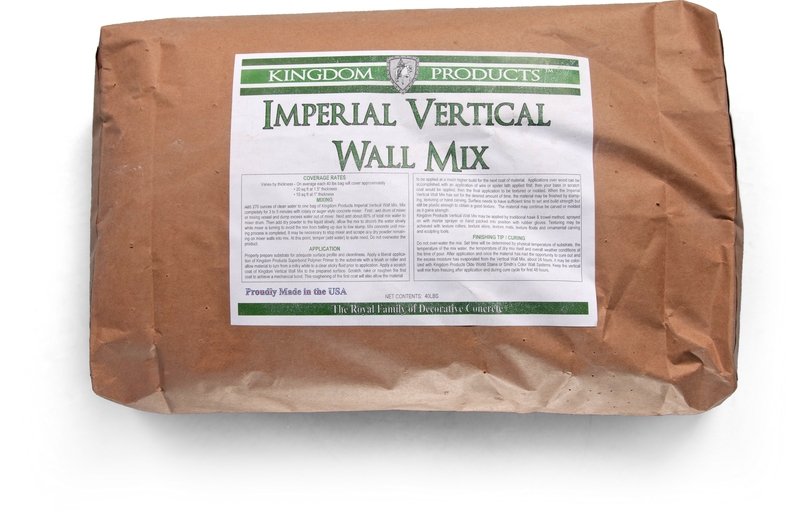 Kingdom Products Imprinta Stampable Overlay is part of the Impressionaire Floor & Wall System. 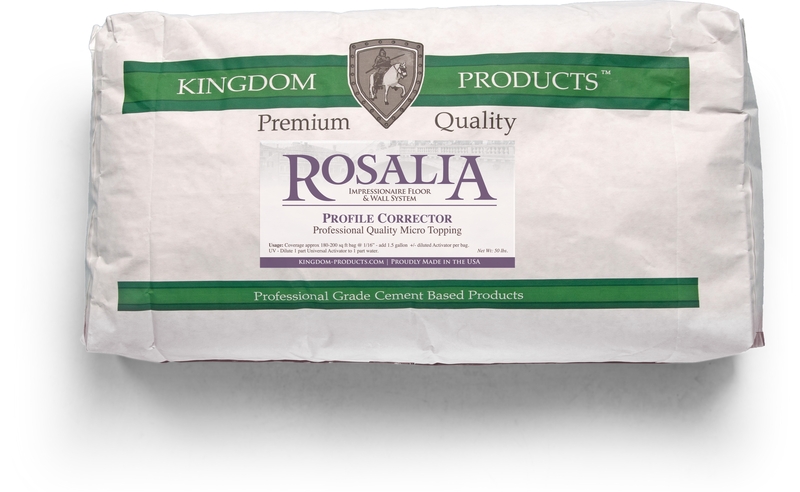 Made with the finest blend of German micronized polymers and the best blends of American made cements and aggregates. 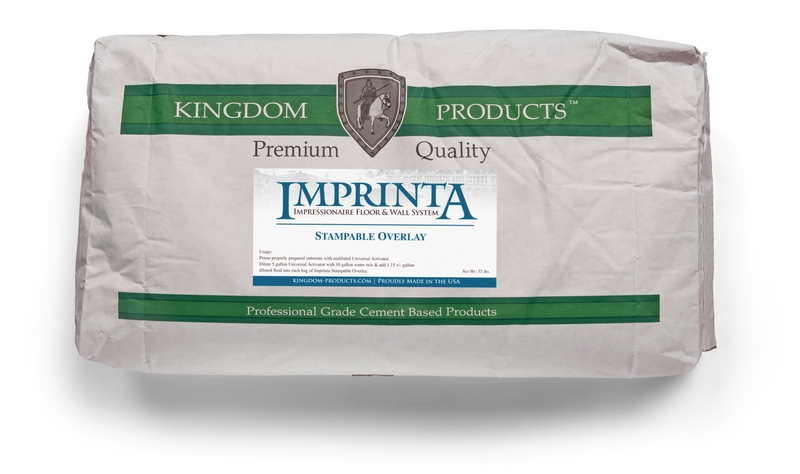 Imprinta will achieve beautiful realistic & varied appearances of stone, wood, tile, and brick. 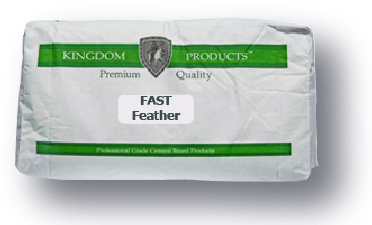 Imprintacan be applied over concrete or metal surface with proper preparation.